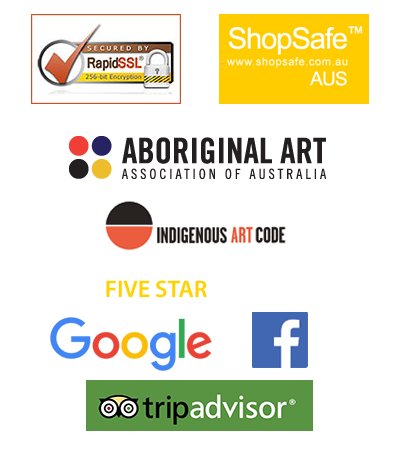 Order Safely Online via our Online Gallery which is protected via our 256 bit SSL Security certificate. Post us a signed order including credit card details as well as details of the goods you wish to purchase. Post us a cheque made out to “Artlandish” including details of the goods you wish to purchase. Please make the cheque out for the amount of the goods as listed in the online gallery. Place a call to our gallery direct between 9 am and 4:30 pm (Western Australian time) 7 days a week to order over the phone. E-mail us with your contact phone number and a preferred time and we will call you to discuss your queries in more detail or to place an order via credit card over the phone. We encourage our customers to take advantage of this service if they feel more comfortable with phone ordering. Purchasing items online through Artlandish is extremely Safe. 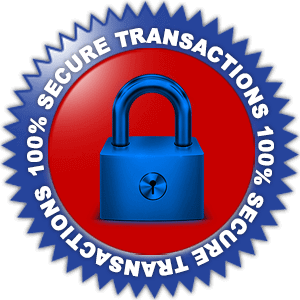 We use 256 bit SSL encryption over a secure line on all transactions. This provides one of the highest levels of security available anywhere on the internet. Microsoft Internet Explorer, Google Chrome and Mozila Firefox browsers will warn a customer if they try to submit information over an insecure link. These browsers as well as other popular web site browsers notify you when entering personal information if the link is secure. You can also tell because when you’re on the checkout page the URL in the top address bar will begin with HTTPS instead of the usual HTTP. In reality, purchasing goods over the Internet using a secure server is extremely safe. It is very unlikely that anyone can obtain your details whilst using a secure transmission. In the event that you don’t feel comfortable ordering online, Artlandish provides you with a number of different options for ordering which are listed above. Our aim is to ensure your purchasing experience is a simple, easy and enjoyable experience. *Information correct at time of writing. Please check with your individual financial institution or credit card provider for details regarding customer liability and conditions associated with the fraudulent use of a credit card.